Vietnamese Women Museum was founded by the Socialist Republic of Vietnam in 1987 as an entity within the Vietnam Women's Union. 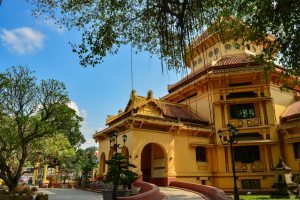 The central Hanoi Museum has a 2000 square meters display area and a collection of more than 25,000 objects and documents which reflect Vietnam’s cultural diversity and women’s significant contributions to the nation’s development, culture and society. 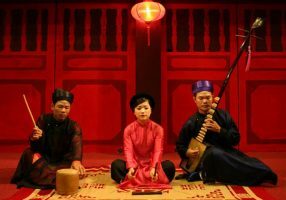 The Vietnamese Women's Museum is a community repository of cultural and historical knowledge about Vietnamese women's lives across the nation’s 54 ethnic community minorities. The Museum is also a centre for cultural exchange with women from other nations with the goal of fostering “equality, development and peace”. This museum offers an overlook of Vietnamese women until now. 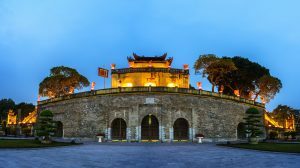 There contains a huge amount of information of the fearsome female heroines of Vietnamese history. There are also exhibitions on the rituals and traditions surrounding women in family, as well as a beautifully presented collection of intricate hand-made ethnic costumes. 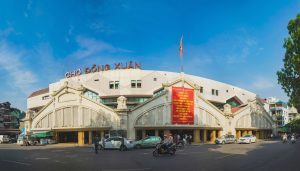 Others, there are many more sites and museums in Hanoi such as Army Museum, Dong Xuan Market, etc.